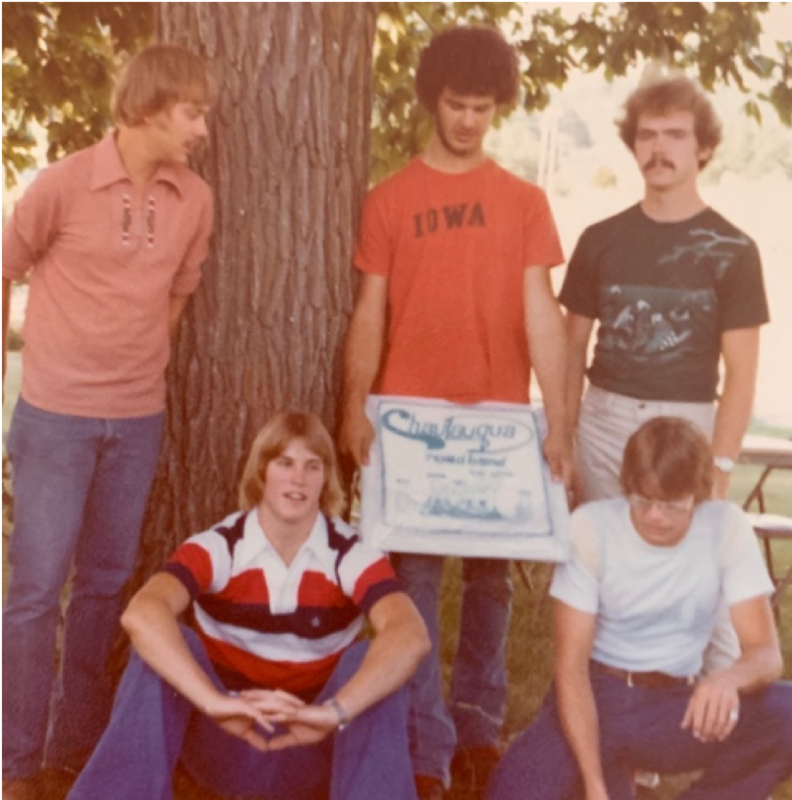 The second event that happened recently was Gregg transferred some old cassette tapes of Chautauqua Road Band to digital media that were recorded when we were in high school. (Technically, James, Gregg, and I were in high school. Paul was almost in kindergarten…) There were four recordings, and one of the recordings was when we had a sort of ‘farewell concert’ in June of 1977 at my house. The three of us had recently graduated from high school and I was getting ready to go to Sweden for the summer as a foreign exchange student. We were all going our separate ways at the end of the summer and we knew we would probably not get back together as a band anytime soon. The last CRB show in 1977. 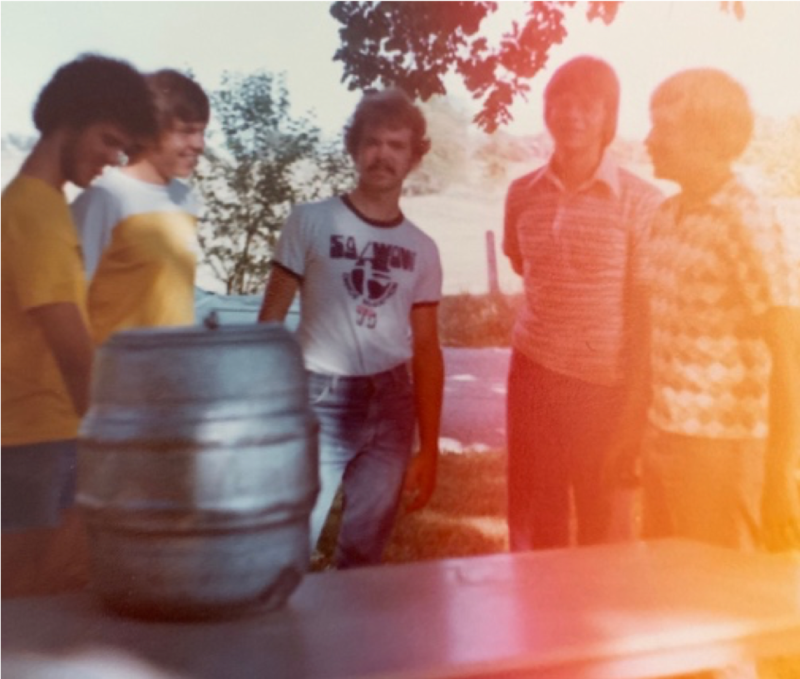 Stuart Peterson, Gregg, Mike, Neil Johnson (kneeling down), and James. As we could hear in the recording of our ‘concert’, it was clear we had all been drinking (18 was the legal drinking age) and I for one, definitely sounded under the weather. For the most part, the music still sounded pretty decent, but the most notable aspect of the tape was the banter between the songs. We were having so much fun with the crowd and each other. There was true camaraderie then (as there is now) and you can hear in our voices that we loved what we were doing. As Gregg said when he heard it after all of these years, we also projected a ‘ballsy, devil-may-care, raw talent’. The amazing chemistry we developed back in the 70’s was real, and we discovered 40 years later that it never went away. The idea for this blog entry came together for me as I thought about our chemistry and the scene in ‘Bohemian Rhapsody’ where Freddy Mercury meets with the Brian May, Roger Taylor, and John Deacon to consider playing at Live Aid after being estranged for a few years. Freddy says that even though he tried to be successful on his own, he realized that he needed the input from the other 3 members of Queen to make his music worth hearing. He went on to explain that each member contributed the right amount of criticism, encouragement, and new ideas to make each song a Queen song. 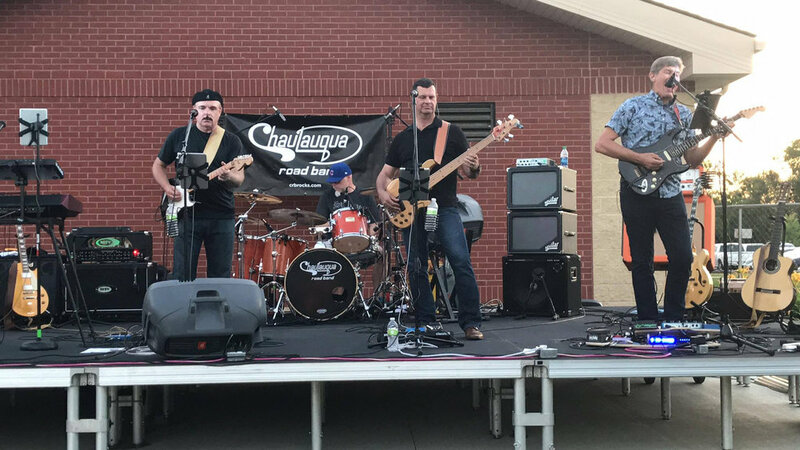 In Chautauqua Road Band, as it was in the 70’s and it is now, we do a few original songs but mostly perform covers of many iconic rock songs of the past 50 years. We inherently know that we must support and challenge each other in order to do justice to those amazing songs. It is what the great bands do. At the end of the day, I am most grateful for the opportunity to play music with three other musicians that I consider my brothers and I know the feeling is mutual. Being able to play great music with people I love, for the people I love, is one of the most rewarding aspects of my life. I truly believe that our respect for the music and the joy we show when we play is the reason our fans enjoy our shows. As I write this article, we currently have four gigs lined up for the summer of 2019. 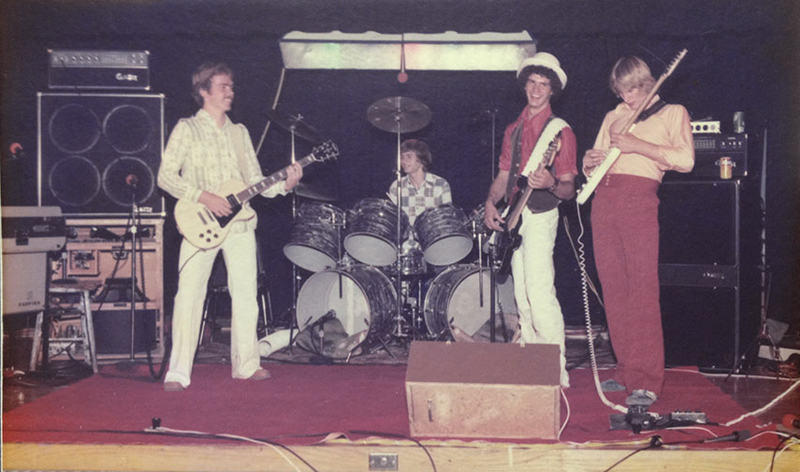 We are going to play for the Red Oak All Class Reunion (ROAR) on June 28th; two dates at The Fish and Co. at Lake of the Ozarks on July 19th and 20th; and a private party on September 7th. We are hoping to book a few more gigs, so keep checking our website or Facebook page to find out if we are playing at a venue near you. We are always very excited to play for our amazing fans and we look forward to meeting those of you who haven’t heard us yet. Our events may not be quite as historic as Queen playing at Wembley Stadium in 1985, but we will do our best to entertain you with our special brand of rock. See you soon!